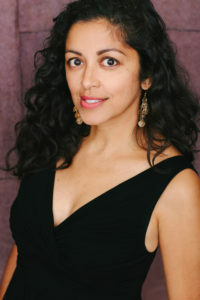 Aimee Nezhukumatathil is the author of four books of poetry, most recently, Oceanic. With Ross Gay, she co-authored Lace & Pyrite, a chapbook of nature poems. She is the poetry editor of Orion magazine and her poems have twice appeared in the Best American Poetry series, American Poetry Review, New England Review, Poetry, Ploughshares, and Tin House. Awards for her writing include an NEA Fellowship in poetry and the Pushcart Prize. She is professor of English at the University of Mississippi’s MFA program. World of Wonder, her collection of illustrated nature essays, is forthcoming from Milkweed Editions. Lony Haley-Nelson notes: “Wonder is valuable…because it leads us to learn and remember.” With this quote in mind, this workshop will provide students with rich explorations of the craft of poetry. Using the vocabulary of myth, folklore, science, and natural history as inspiration, this generative workshop will help you jump-start the blank page in front of you. You’ll be introduced to several ideas for poems and journaling (some outdoors, weather permitting) to help you find new ways to revitalize your writing. Our time will be divided into composing drafts; chatting about poems that encapsulate a sense of wonder; and sharing your own poems in a workshop format.